Length: 144mm. Image shows assembled kit. 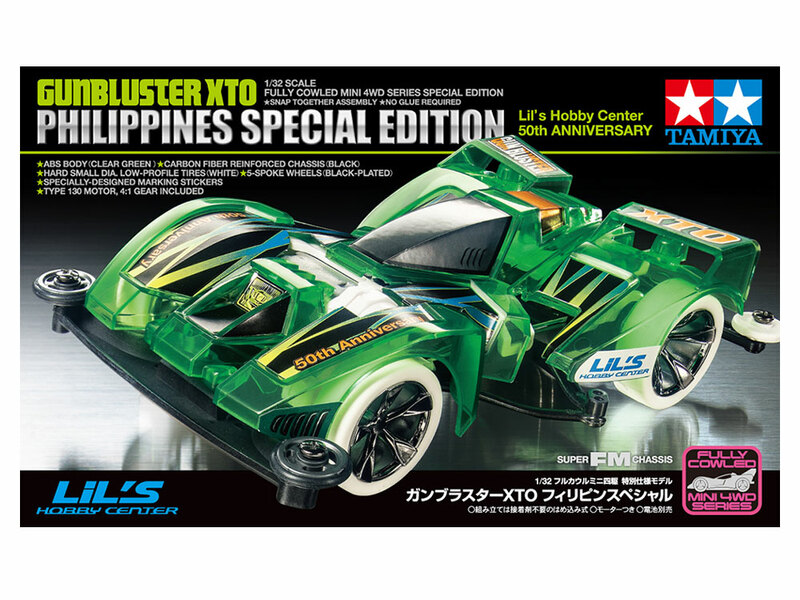 This assembly kit creates a special version of the Gunbluster XTO released to commemorate the 50th year of Tamiya's Philippines official agent Lil's Hobby Center. 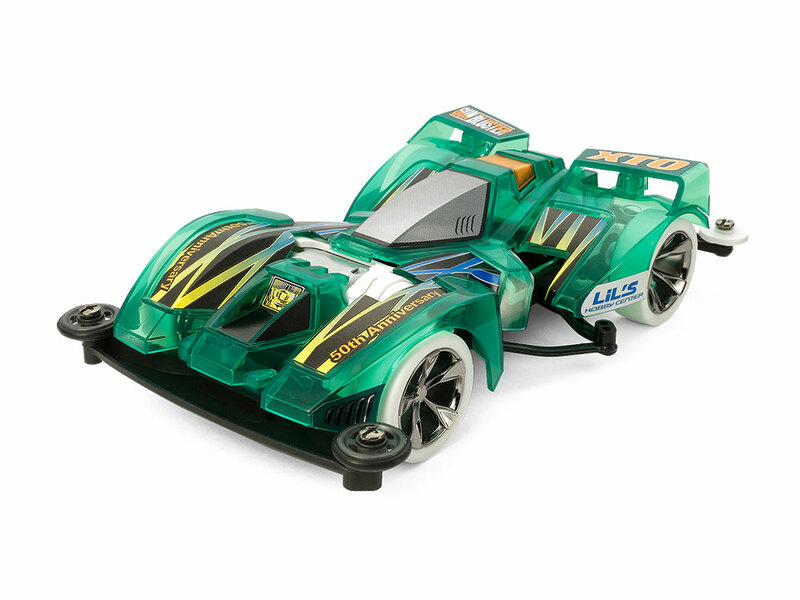 The angular, powerful body is molded in clear green ABS, with complementary colors on the chassis, wheels and tires. Metallic stickers are included in the kit for the dedicated markings, depictions of canopy and so on. An evolution of the FM Chassis, the Super FM chassis has an aerodynamically-advanced underside. It also has a strengthened bumper and cooling ducts to make it a great racer! A front motor layout ensures that Super FM chassis cars enjoy great stability after landings and through high-speed corners. 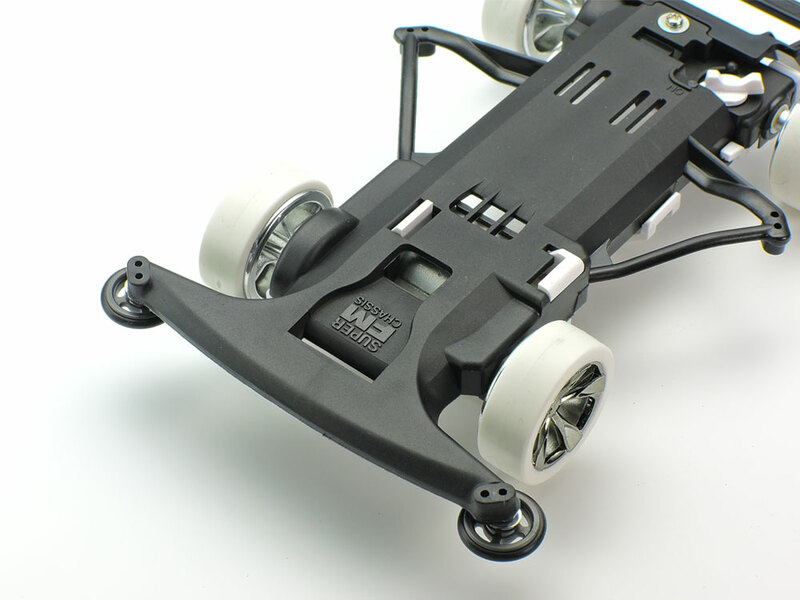 Chassis parts are molded in carbon fiber-reinforced plastic, with A parts in white ABS. Black metal-plated 5-spoke wheels are paired with hard white low-profile tires, and 4:1 speed gears are included. 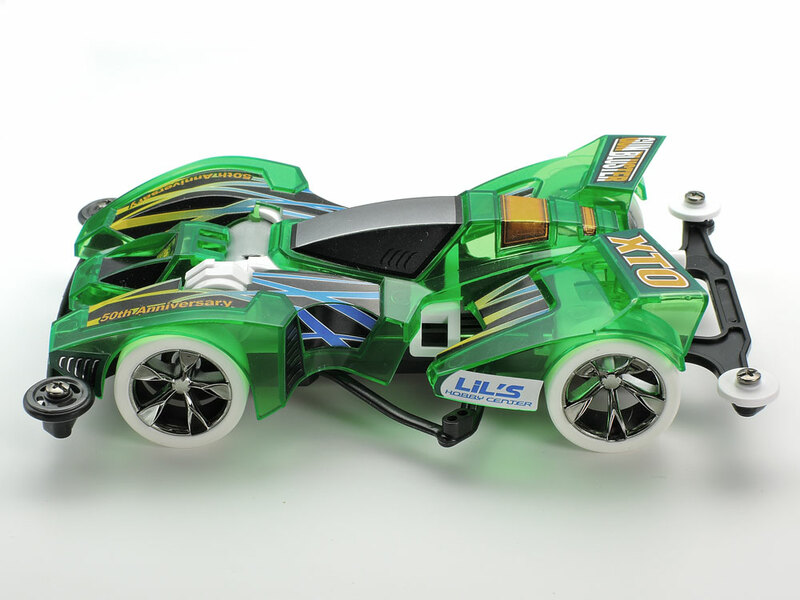 ★A highly tasteful color scheme pairs the clear green body with eye-catching black plated wheels and white tires. 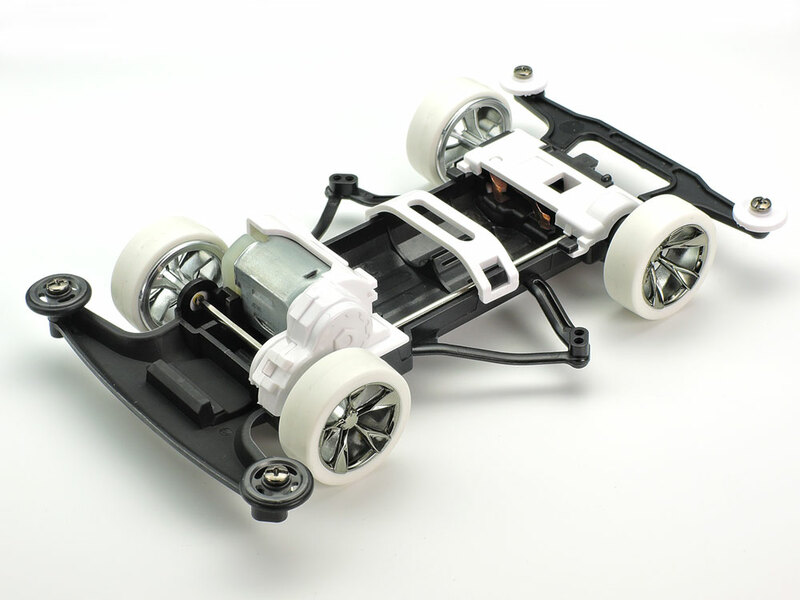 ★A simple monochrome affair, the chassis is carbon fiber-reinforced black plastic with white A parts. ★This view of the underside shows the cooling ducts for the motor on the aerodynamically refined design. Information is correct as of March 7, 2019. Specifications are subject to change without notice.